There are still many people who like to print reports, letters and more. However, with the IT sector moving to unmanaged workspaces and cloud solutions, it created new challenges for printing. As we have many customers who have a cloud workspace or hybrid workspace, I would like to share how to set up your printers and how you can allow people to print their documents using their company or personal devices when being in the office, at home or anywhere else. More and more services are moving to the cloud. But how do you maintain printing with all these changes? If you just move your print server out of the internal network, you have to deal with file sizes of the print jobs, which can result in bandwidth issues. And of course, you have to think about security, because you can’t send out the RAW print information to the print server unsecured. Sometimes there are no printers available, either on the remote connection or locally for the user. We see that many IT partners solve this by using cloud printing solutions. When choosing a cloud printing solution, my advice is to keep an eye on security. Printers are not immune to security breaches and could cause serious harm. That is why you should pay attention if the cloud printing solution uses authentication through Single Sign-On to identify the user. Next to this, you should check if they have options for BYOD or mobiles and if they have data reporting. 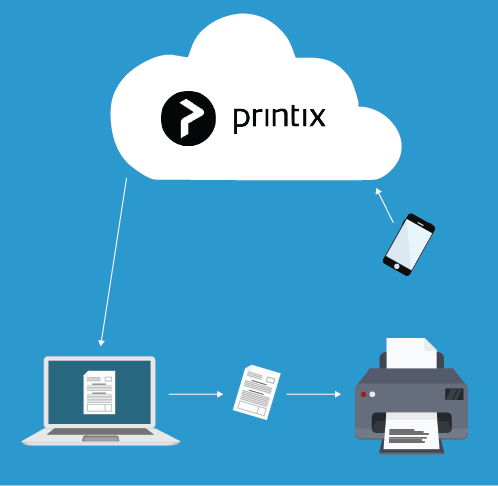 Printix is a good cloud printing solution that allows you to publish every printer, anywhere and anytime. It enables companies to provision and implement print in their cloud strategy. 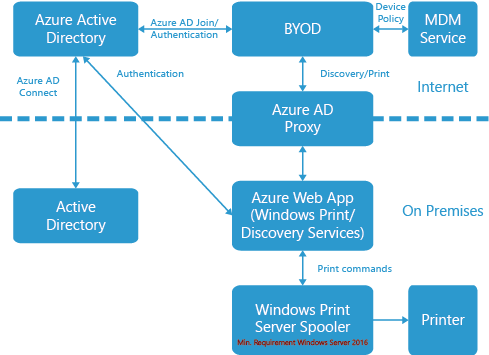 Printix has an integration for Azure Active Directory and Microsoft Intune, making it easy to roll out in your digital workspaces and on the devices. Furthermore, it enables people to bring their own device. In this scenario, there is always a need for a device which discovers all printers in the network. 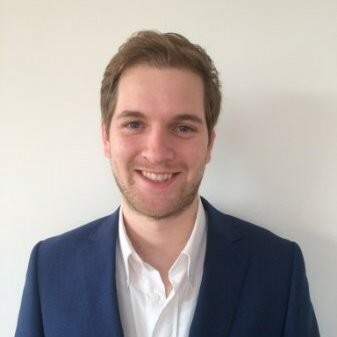 An interesting article by IT consultant Peter Klapwijk on how to set up Printix can be found here. Another example of cloud printing is Google Cloudprinter. It’s relatively easy to setup Google Cloudprinter and once you are done, you can print from any device using your profile in Chrome. Using Google Cloudprinter, you can even setup your legacy printer which isn’t ‘built’ as a cloud printer. Besides being able to control all standard printer settings (paper size, colours, etc. ), you can also create workflows for printing using services like Zapier, which allow you to create “If this, then that” scenarios (e.g. if someone requests a day-off, then print their application form). Information on how to set up Google Cloudprinter can be found here. Last year February, Microsoft announced that you can “Print to corporate printers from Azure AD joined Windows 10 devices”. Here is a really good guide on how to set this up from Benoit Hamet. Seeing the direction Microsoft is heading in, it’s just a matter of time before Microsoft makes it easier to integrate and extend this via e.g. Intune and expand their Hybrid Cloud Printing solution. But keep in mind that this is still a Hybrid solution and not fully cloud. Although printing via Clientless RDP seems to be hard, as we can’t support redirected printers and devices due to limitations of the browsers, we do have some solutions. It might be good to know that browsers don’t support access to the local machine/client of the user as it would cause a potential security breach. In the case of UNIT4, AFAS or other software vendors, it could be that the supplier delivered you credentials to access RDP. In this case you cannot manage the remote connection and you can’t roll out your print scenario’s. In this case, the redirected printer would be a nice fit. We have implemented the printing through our redirected Clientless RDP printer. This printer is automatically mounted in the remote connection (Remote desktop or Remote App). Why does this work? The printer will create a screen capture of your connection and download it to the user as PDF. After that, the user can open the PDF file and print it using their own connected/available printers. Sometimes a device is unmanaged, and it doesn’t have access to the (network) printer. If you have access to the RDP server, it is possible to install the printer. In this scenario you can publish the printers in the Clientless RDP connection itself. The RDP connection will have this printer available. This can be done easily using Group Policy Management Console, if you’re the administrator of the RDP machine(s)/Remote app(s). This way, you can print straight to the (network) printer from within the connection. Do you have any more questions about printing in the cloud, Workspace 365 or do you have feedback for us? Send Laurens a message!